Rocky Mountain Horse Expo March 11-13th! 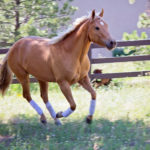 This column is dedicated to connecting local horse people within the readership area of the Colorado Serenity Magazine. 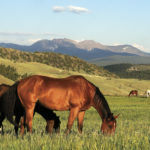 While the Rocky Mountain Horse Expo is held at the National Western Complex, it is chock full of connection points for horse people in the Denver Front Range, Foothills, not to mention the entire western region from Texas to Montana. Several of our local horse trainers and business people will be putting on clinics, participating in challenges and hanging out at their booths to chat with passersby. What better time of year for those of us horse folks who are just catching the hints of spring all around in melting snow, mud and shedding horses. 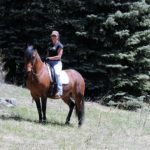 Our plans for our Colorado summers are filling our heads with activities like horse shows, trail riding, horse trips with friends, sorting, roping, rodeos, endurance rides, clinics and more. We are setting goals for number of rides, rodeos, shows or clinics. Maybe to try a new discipline out like Working Equitation, Western Dressage or Ranch Sorting; experience some of our amazing local parks; or just improve our riding and communication with our equine partners. Maybe none of that sparks your interest, but most (if not all) of you just like to be around anything horse related and window shop. The RMHE is for all of you. There are ticketed events like The Mane Event on Friday and Saturday night, showcasing all shapes and sizes of horses doing their thing from Dressage, Team Penning, Driving, Reining, to Vaulting and the list goes on. A great event to entertain horse and non-horse people alike. With the price of admission, you can audit clinics going on simultaneously at different locations throughout the NW Complex. The list of clinicians includes: Russell Beatty, Eitan Beth-Halachmy, Sarah Bohnenkarp, Mike Brashear, Nicole Collins, Dr. Elizabeth Dooher, Justin Dunn, Dr. Regan Golob, Kami Guildner, Van Hargis, Cody Harrison, Shawna Kairasch, Cindy Loader, Dr. Barbara Page, Steuart Pittman, James Shaw, Anna Twinney, Terry Wagner, Carol Walker, Wayne Williams, and Brent Winston. Masterminded by the Colorado Horse Council, the RMHE has approximately 100 presentations at 7 different venues. If you have been to the NW Event Center where other equine events are held throughout the year, they also utilize the warm up arena aka The Event Center Paddock and have an arena set up in the barn aka The Event Center Barn. Lecture type classes are held at The Horseman’s College on the 2nd floor of the Hall of Education and perhaps one of my favorite events is on the 1st floor of the Hall of Education called The Horse Experience. The Horse Experience is set up for horse crazy kids and people to come get their hands on a horse. They can touch, pet, brush, smell, learn, walk around on and ask questions to people who understand horses and horse keeping. Parents of horse crazy kids can ask questions to figure out safe and professional outlets for their kids to get involved with horses. What a brilliant idea and a great way to promote horses and agriculture. It is a wonderful starting point for kids and people to be welcomed in and feel the freedom to learn about horses and how to connect with horses in our area. Competitions or Exhibitions showcased include the Colt Starting Challenge USA, bringing rescue horses back in the Comeback Challenge, Mustang Days, Forever Home Adoption Showcase, Team Penning, Cowboy Dressage and Working Equitation. The NW Complex Hall of Education is full of all sorts of horse related venders and exhibitors, in addition there is the Art in the Park, a Holistic Horse Fair and a Craft Fair with all sorts of goods from homemade soaps to handmade furniture. Equine Art in the Park is a juried fine art exhibit and sale celebrating the spirit of the horse. The show features contemporary original work including paintings, pastels, drawings, mixed-media, photography, pottery, and sculpture/3-D.
Mark off the weekend and plan to spend some time supporting this important regional event for horse people of all backgrounds! MtnHomes4Horses will be at booth #1308 in the Hall of Education. Please stop and say Hi to Andrew and I!